This week’s photos are a final look at some of the beauty we saw in southwest Florida. The Mote Aquarium is located in Sarasota Florida and is one of my favorite places to get some great macro images of sea life. 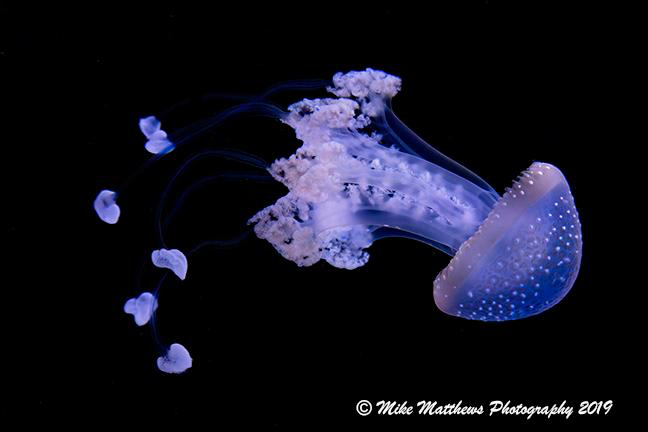 From reef fish to jellyfish they all can make for some fun photography. I have photographed at a lot of different aquariums and the key is to have patience and to have clear glass to shoot through. Also, if you try this, please be aware of the signs on some exhibits where flash photograhy is not permitted. Southwest Florida is an amazing place and I can’t wait to get back down there next year. If any of you are interested in this type of bird and wildlife photography, I will be leading two different workshops down there in 2020. So please email me if you wuld be interested in learning more about thes events. Have a blessed week everybody!